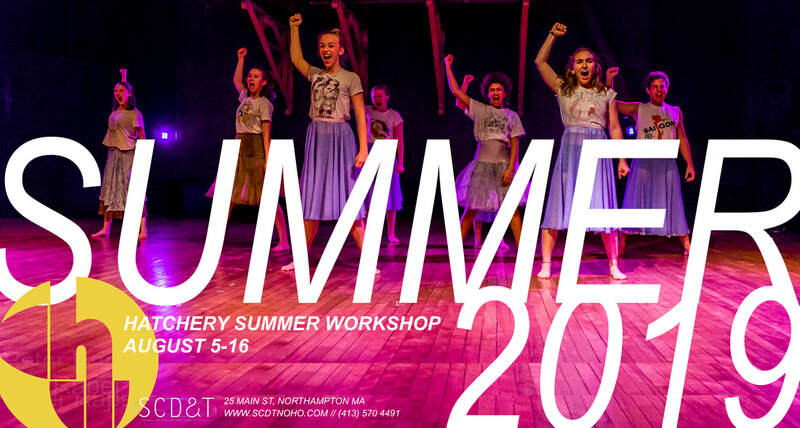 Summer workshop for teens ages 13-18, including Hatchery members, those interested in dance/theater performance practices, and anyone interested in joining Hatchery for Fall 2019. ​Week One will combine dance training and performance practices including a daily technique class, choreographic mentorship, theater-making, and new repertory pieces created during the workshop with Paul Matteson and Karinne Keithley Syers. Week Two will be an intensive five day theater intensive with Karinne Keithley Syers, further deepening the skills learned in Week One. The group will collaboratively author and stage a piece of theater, leading up to a performance. Teachers include Jen Polins, Jenny Bennett, and Karinne Keithley Syers. Questions? Email Leah at leahscdt@gmail.com! Anyone interested in dance/theater performance practices! MORNING MOVEMENT CLASS • 9:30-11AM • Morning movement is contemporary dance class open to all levels. We will begin with basic modern dance warm ups and work with improvisational structures that will increase awareness and stamina, expand compositional choices in solos and group forms, and articulate falling and suspending off-center. Class work explores sensation, instinct, and the inherent musical phrasing inside the body. SESSION ONE • 11:30AM-1:30PM • THINKING IN THEATER: This 4-day class examines theater-making from the compositional perspectives of space, time, sound, and movement. Both improvising and composing, we’ll approach 4 short contemporary scripts over the course of the week. SESSION TWO • 2:30-5:30PM • NEW Repertory piece created with Paul Matteson. MAKING THEATER TOGETHER • This 5-day intensive workshop builds on the skills explored in week 1 but participants can also join for this week only. The group will collaboratively author and stage a short piece of theater, leading up to a performance. Interpersonal skills of collaboration, improvisation, and consensus decision-making are emphasized. Aesthetically we emphasize design, spatial thinking, and layers of sound and image in which to embed original storytelling. Open to all levels of experience; welcoming actors, writers, musicians, dancers, designers, and all points in between. ​please contact Leah at leahscdt@gmail.com. 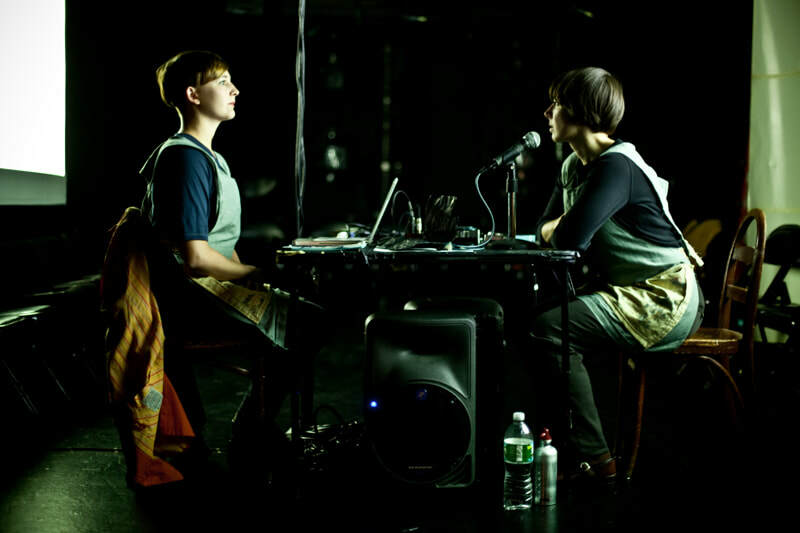 KARINNE KEITHLEY SYERS is an interdisciplinary artist working in theater, text, sound, radio, bookmaking, and animation. She is a current resident playwright of New Dramatists. Her museum-operetta Montgomery Park, or Opulence won a New York Dance & Performance "Bessie" Award for Outstanding Production in 2011. She recently relocated to the valley after 20 years in New York City, where her original work was seen at The Chocolate Factory Theater, Incubator Arts Project, Danspace Project, and Dixon Place, and where she collaborated as a performer, sound/video designer, and librettist with Big Dance Theater, Sibyl Kempson, Young Jean Lee, David Neumann, Chris Yon, Sara Smith, Theater of a Two-Headed Calf, The Civilians, Talking Band, and many others. 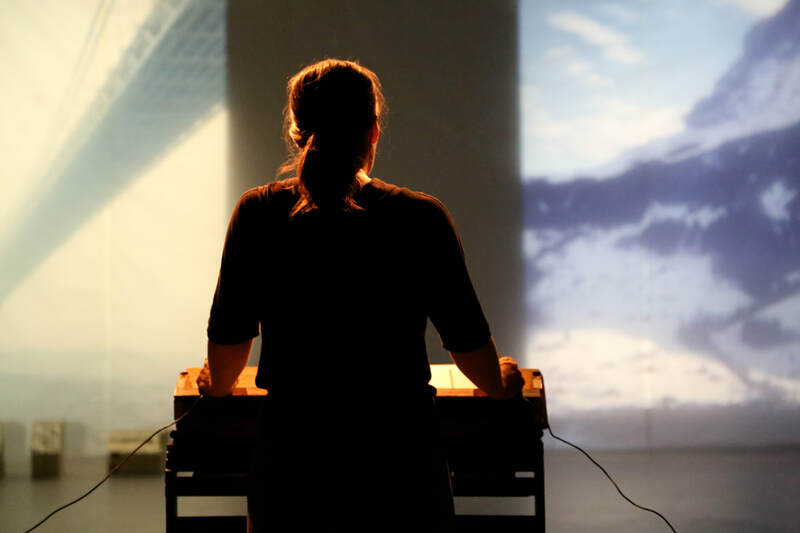 JEN POLINS, SCDT’s Founding Director, is a curator, mobilizer, movement practitioner, and performance maker who has worked at the intersection of somatics, performance, and contemporary dance techniques for over twenty-five years. She holds an MFA in Dance from Hollins University/The American Dance Festival and is a 2014 MCC choreographic fellow. Jen has danced professionally in America and Europe, starting with the Joffrey, Milwaukee, and Zurich Operahouse ballet companies before embarking on a professional career in performance art and co-founding Wire Monkey Dance, with over twenty productions across America, Europe, and Asia. She specializes in rigorous improvisational practices and has worked closely with many mentors, most notably Nancy Stark Smith, Steve Paxton, and Lisa Nelson. More recently she has collaborated with Maurice Fraga, Joy Davis, Jen Nugent, Stephanie Maher, Peter Schmitz, Sarah Shelton Mann, Paul Matteson, and James Morrow. Jen is certified in Pilates, Gyrotonic, Gyrokinesis, yoga, and massage, and is guest lecturer in the Five College Dance Department, currently teaching at Amherst College. With SCDT, she maintains close collaborative relationships with the Northampton Arts Trust as the program assistant of A.P.E. @ Hawley St , San Francisco’s La Alternativa, and Boston’s New Movement Collaborative and Ponderosa TanzLand Festival. She lives in Northampton.